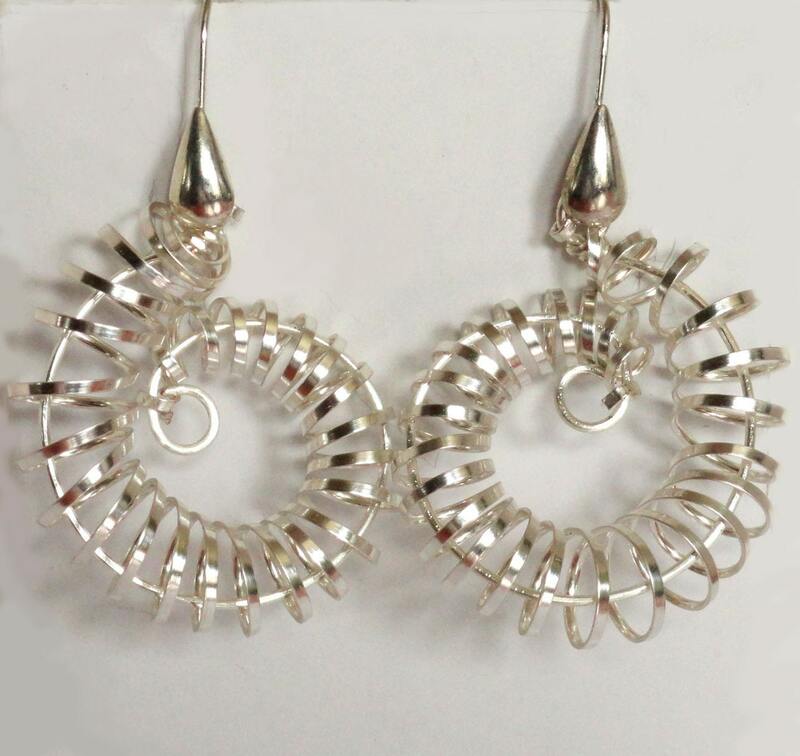 Round and round they go. 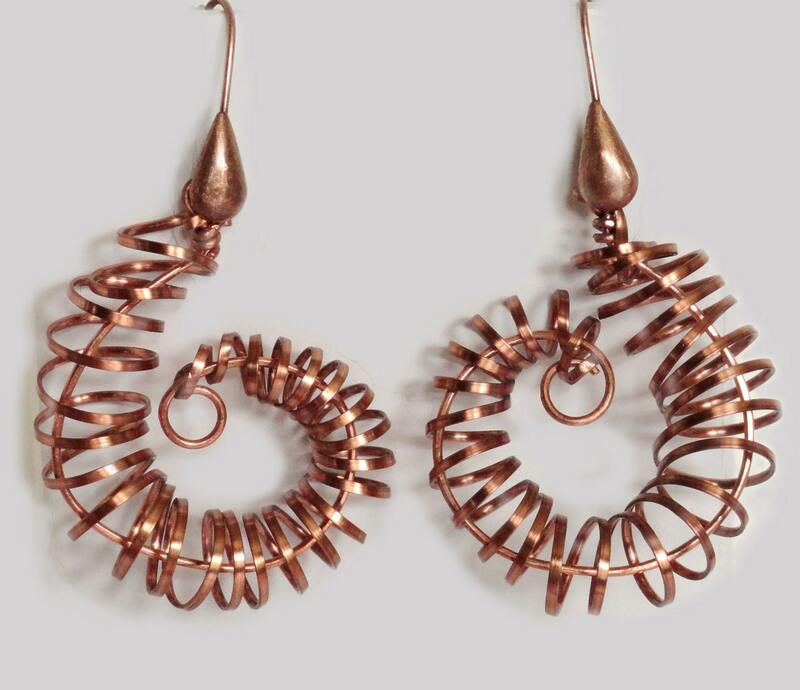 Spirals of hammered wire wrapped with tapered coils of flattened wire. 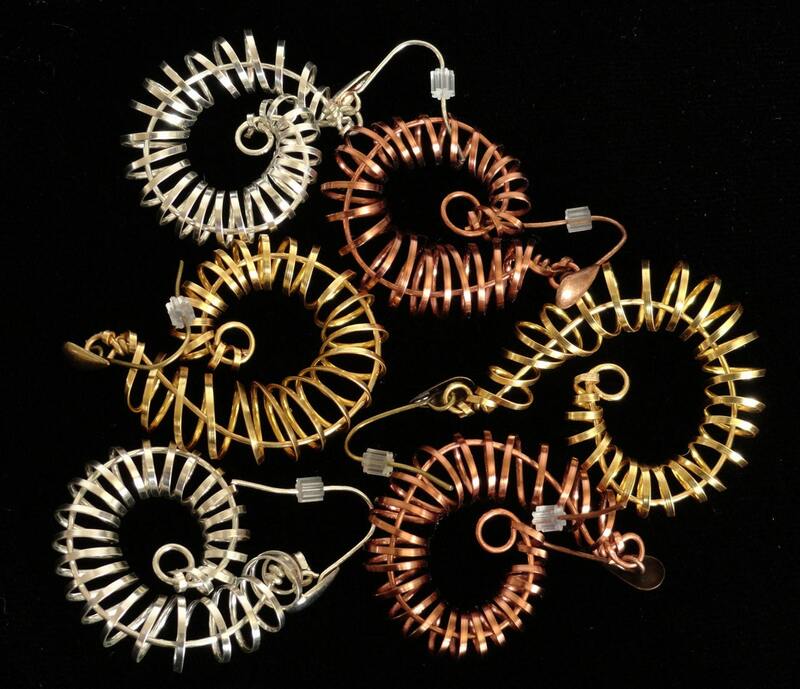 Please specify treatment of Allergy Jewelry Shield on earring wires in your order.